As a mom of boys who are always active, I make sure I give them the best possible care I could give. I make sure their set of clothes and uniforms are complete, their school requirements are met, and their nutritional needs are especially well attended to. From the food they eat at home and in school, their vitamin supplements, and drinks, we make sure everything we provide them will help them have stronger immune system and have healthier tummies too. Hirap kasi if upset or constipated sila, ouch talaga! Everything’s affected. Kaya when we do our grocery shopping, you will not usually find sodas and chips in our carts. 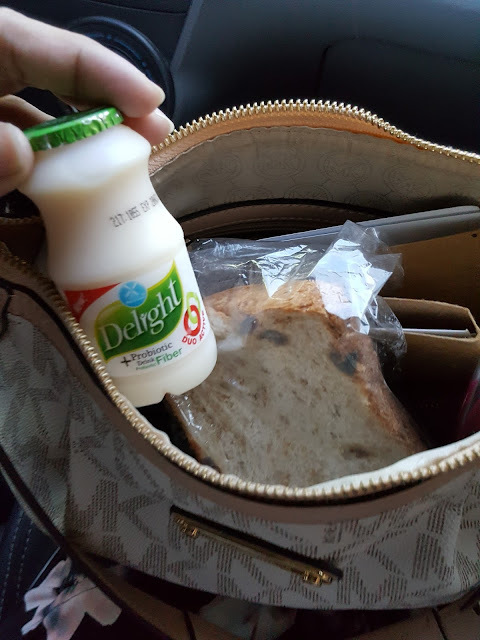 Instead, apart from fruits, breads, and juice, they put in a pack of Dutch Mill Delight. For them, it’s a treat because it’s a delicious drink they could gulp with their snacks anytime. Hindi nila alam, I’m really happy they like it because more than it being a yummy treat, it’s packed with Probiotic and Prebiotic Fiber which make their tummies healthier. 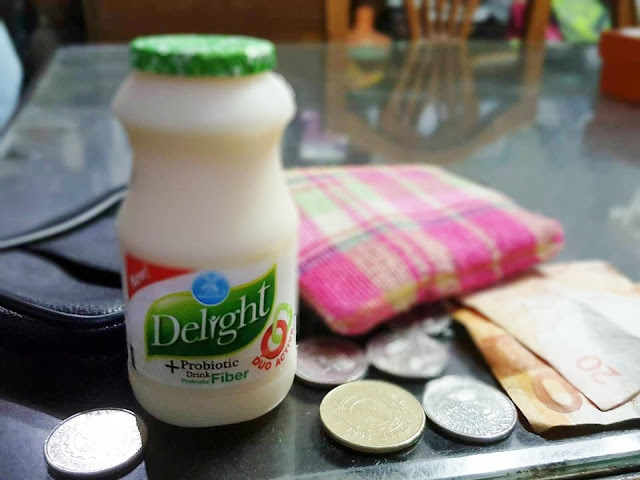 What they liked about Dutch Mill Delight is that it’s bigger in size, not bitin to drink, and it has a richer milky taste! As parents we like it because it’s got DUO-ACTIVE formula to aid in digestion and make their tummies healthy. I could say that it’s an upgrade from what we used to buy in the neighborhood supermarket. It’s just like instead of getting plastic car toys for them, we upgrade the choice to die-cast cars so it will last longer and can be used by younger siblings pa. Or instead of getting a well-known brand for baby’s diaper bag but small in size, we got a durable, spacious and quality diaper bag for the same or lower price. It’s an upgrade in the quality of what we purchase but not an upgrade in cost. For us, we go for upgrades. Big and More is better, lalo na if it’s not costly. Every time we give something to our children, di ba we don’t want to settle for anything less? Ako as a practical mom, I always go for getting more than what I pay for. We have the same principle with Dutch Mill Delight because for the same price, we get more out of it. 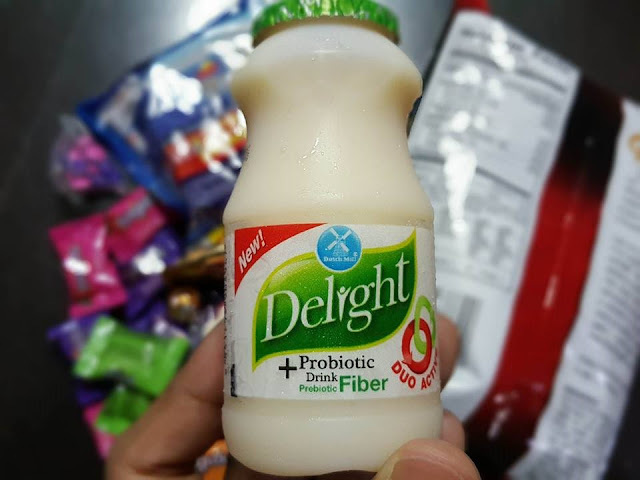 Prebiotic Fiber in Dutch Mill Delight helps multiply and strengthen the Probiotic. We know how fiber works in our tummies right? It just means you could say goodbye to constipation because of a feel-good bowel movement each time! With stronger and healthier tummy due to a probiotic drink that has prebiotic fiber, the good bacteria last longer in the tummies of not only our kids’ but ours too! Kaya binabaon ko rin naman talaga to sa work! We have a rule at home which is to set an example by walking the talk and being a role model. So our children eat and drink what we do. If we eat junk, they will too. Kaya we said NO to junk a long time ago and welcome healthy food and drinks in our household. 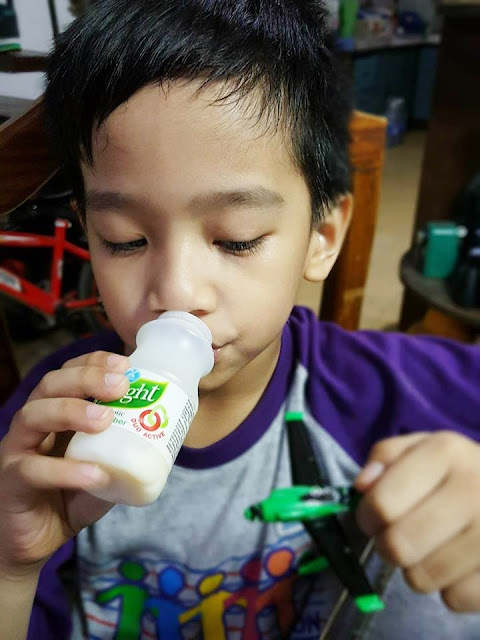 That’s why for healthier tummies for the kids, dun na kami sa 2nd generation of Probiotic drink, Dutch Mill Delight. Indulge without guilt, safe to drink every day, and convenient to buy! Dutch Mill Delight is available in all leading supermarkets in Metro Manila, Batangas, Bulacan, and Pampanga, 7-Eleven, and direct sales through Delight Ladies (Manila, Quezon City, Taguig, and Rizal). Each pack contains five (5) bottles and is sold for only Php 40.00/pack. For more information and updates on Dutch Mill Delight, like them on Facebook: www.facebook.com/DutchMillDelightPH/ or follow them on Instagram: www.instagram.com/dutchmilldelight_ph/.